The year is just about to end (grabe, no? 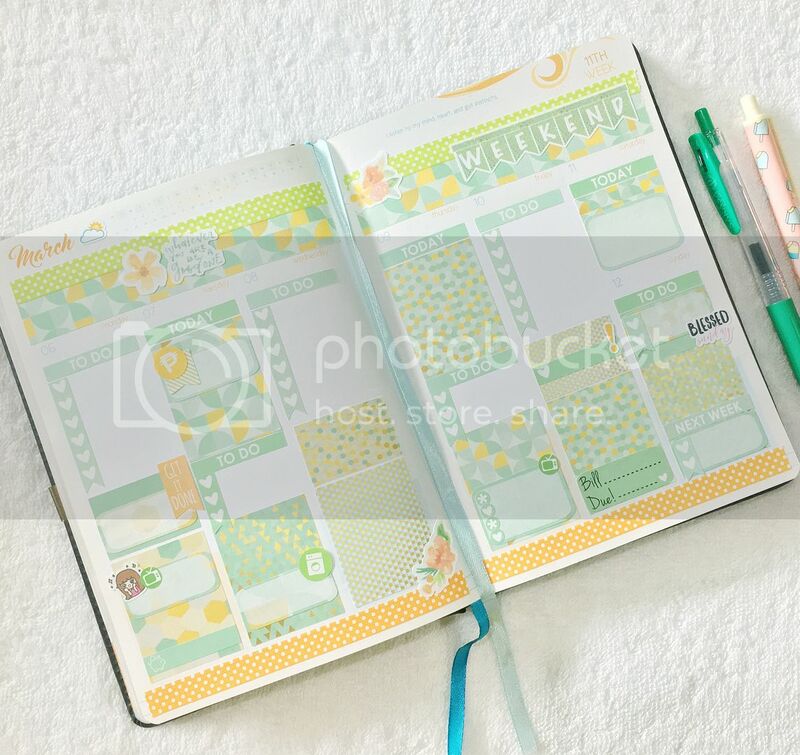 ), so you know what that means... PLANNER SEASON! 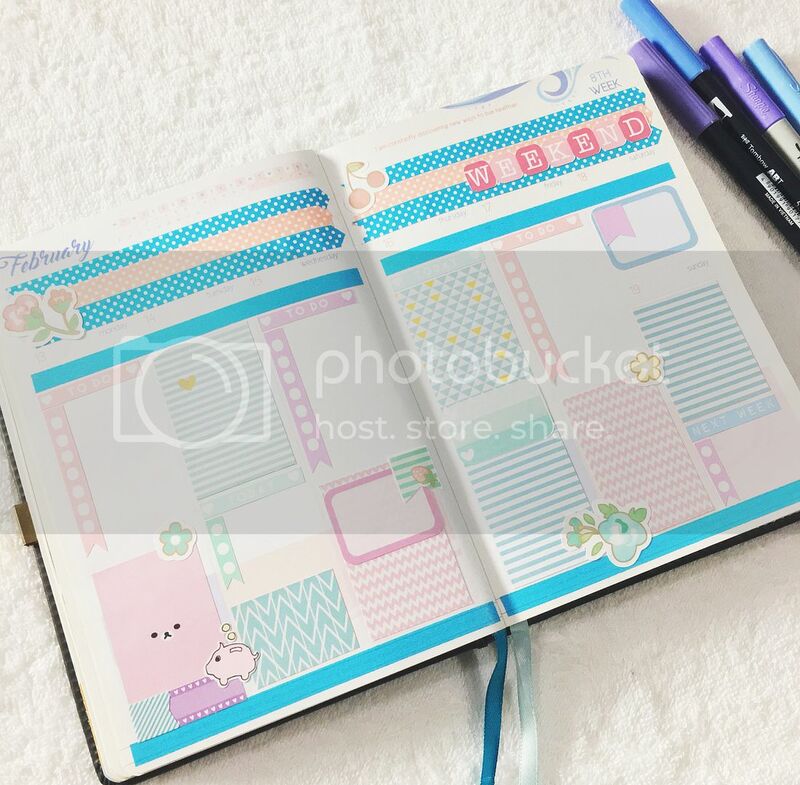 It's the perfect time to start posting my planner spreads here on my blog. And I'm starting with this collection of my favorite spreads from the first half of the year. Short backstory muna although I've already told this story once (or twice... who's counting?) before in one of my previous posts. I first got into glam-planning about two years ago after watching Elle Fowler's plan-with-me videos. Nakakaadik. 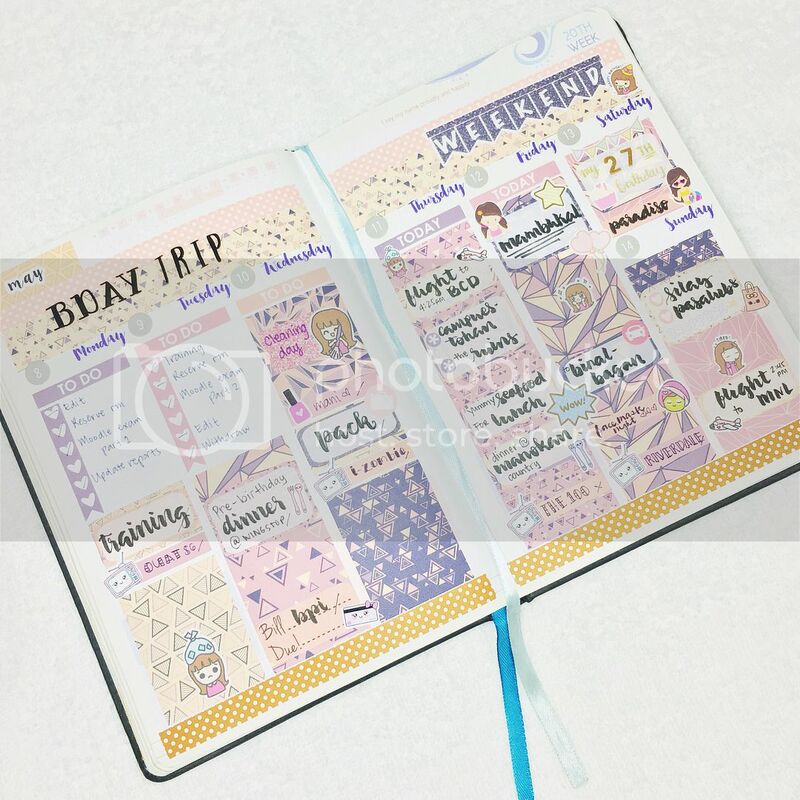 Last year, I used a full-sized, undated Happy Planner as my main planner. On the side, I also used a personal-sized Kikki K with SewMuchCrafting inserts since the HP was too large to carry around. For 2017, I decided to switch back to the Belle de Jour Power Planner because 1) it's what I had around, and 2) it's the perfect size for my needs. So here are my fave BDJ spreads from the first half of 2017. 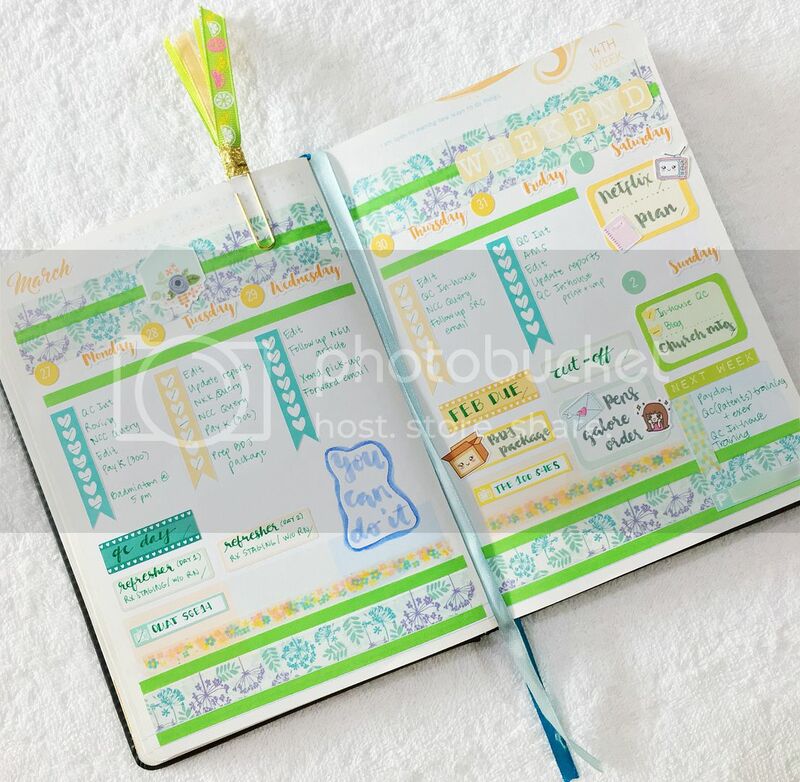 Most of these photos show my spreads before being filled in with my actual tasks. I just love how clean everything looks before my handwriting ruins it. Let's start with a simple spread from January. These next two are both from February. 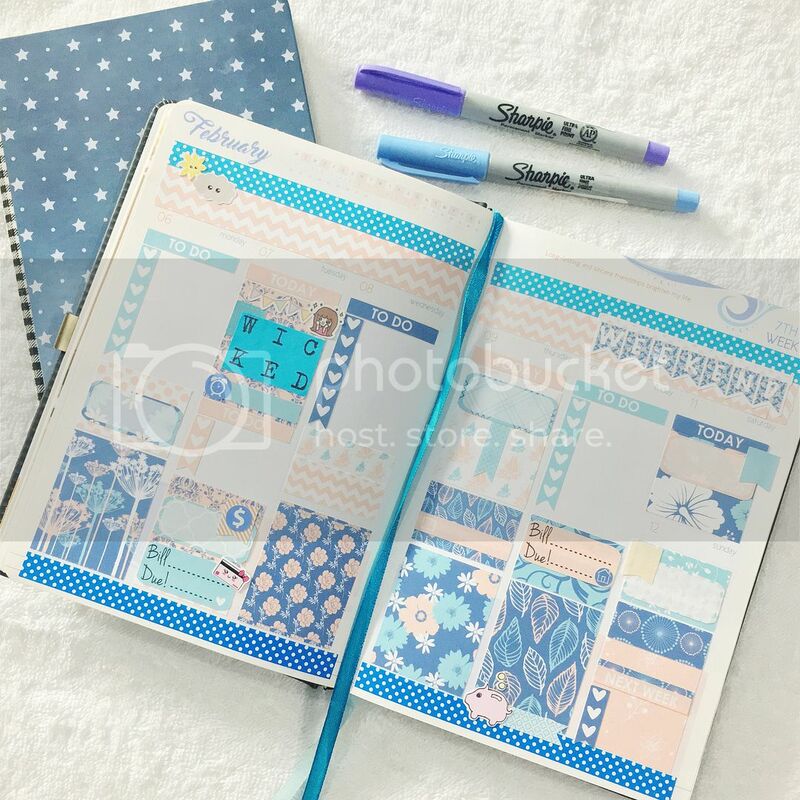 Both are blue-themed to go with BDJ Power Planner's Feb pages. For this next one, I didn't use a kit and just used a combination of stickers I have from many different shops. The next ones are from March. Went for a green theme to match with BDJ's March pages. This is also one of the first spreads with my brush lettering on it. I'm not really a fan of the color orange in general, but I did like the way this spread turned out. This next one is also from March, but instead of sticking with the green theme, I went with blue and yellow to mark the week I watched the then-new Beauty and the Beast movie! 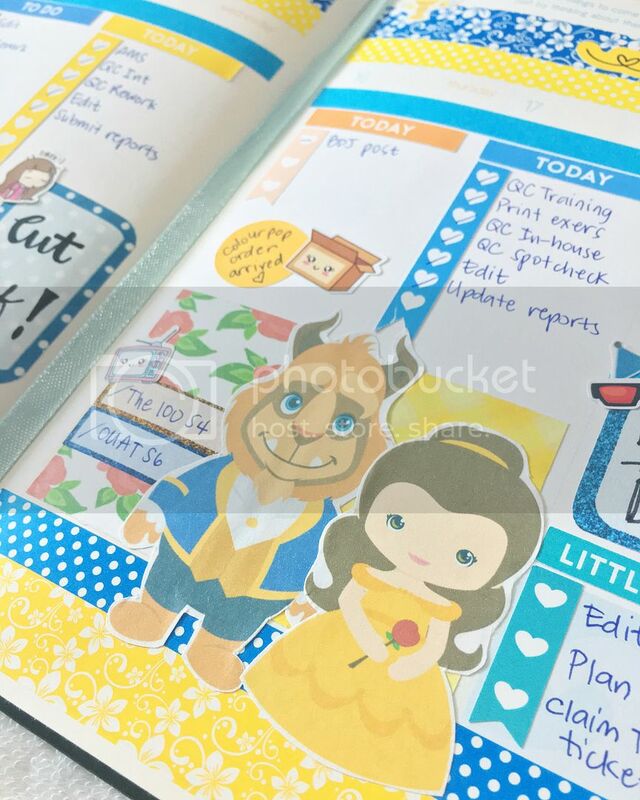 And I found cute Beauty and the Beast printables online, which I thought were soooooo cute and perfect!!! This next one is from April. 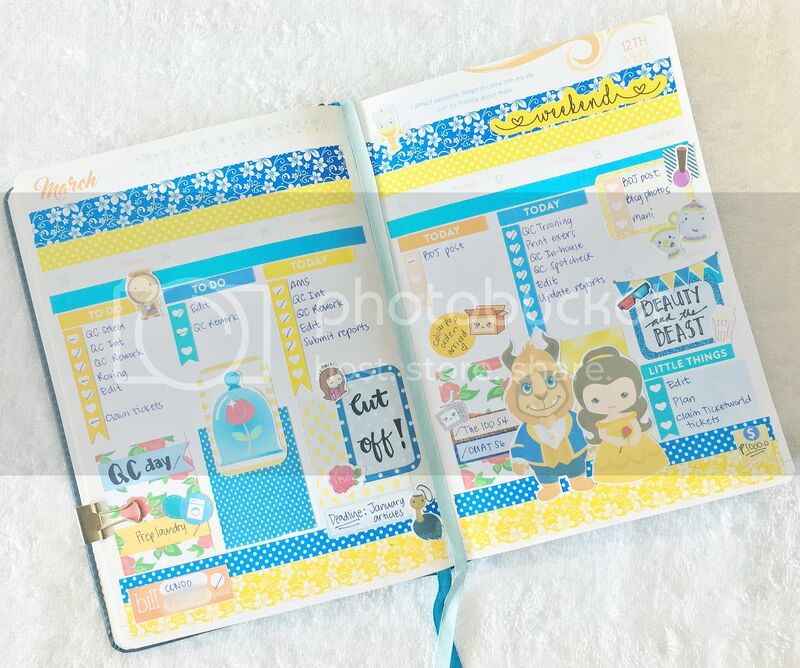 I didn't stick with BDJ's theme for this one and decided to go with a more colorful theme using a really cute OHappyDoodles kit. Showing more and more of my brush lettering here. I used mostly Tombow brush pens for this. And last but not the least is my 2017 birthday spread. We went to Bacolod for my birthday, so this is even more of a special spread. Also, you'll notice that I went loco on the brush lettering here haha. As you can see, I also use my planner as a journal sometimes, especially when I go travelling. This helps me remember the things we went to. For spreads featuring my travels, I usually do full, no-white-space spreads and just list down the things we did and places we went to. But for my usual to-do spreads, I like my white space. So those are my fave spreads for the first half of the year. 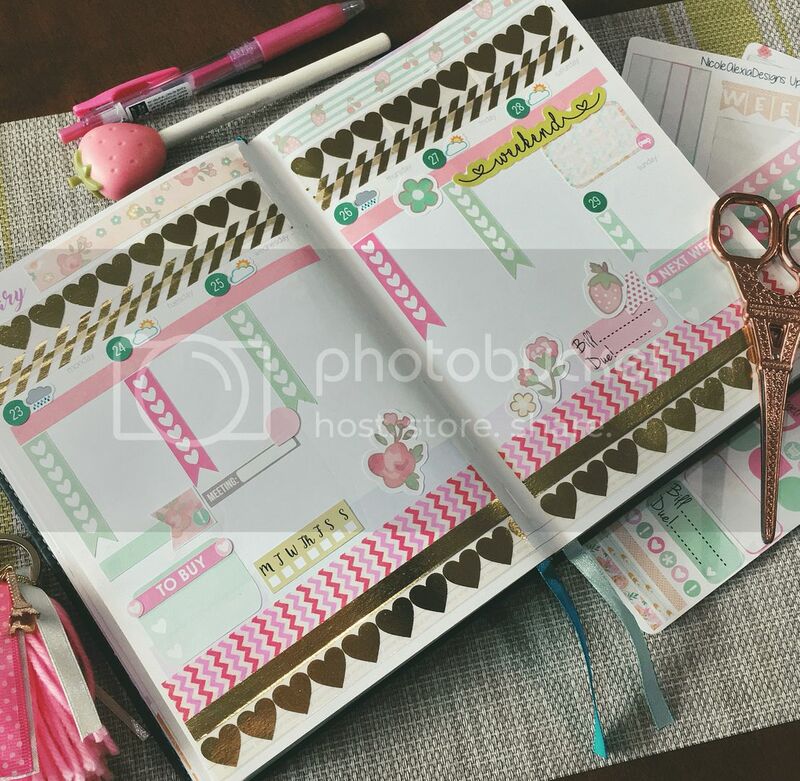 For the second half, I honestly have not been as good in using my planner because I simply don't have the time to sit down and decorate my planner now. I still do from time to time but not as regularly. When I can't do glam, I just stick to the good ol' checklists to keep me on track. But I promise myself to get back to it in the coming weeks because I really miss doing it! It helps me relax - it's like a form of destressing for me. And I have a lot of stress built up right now, so I could really use some destressing.